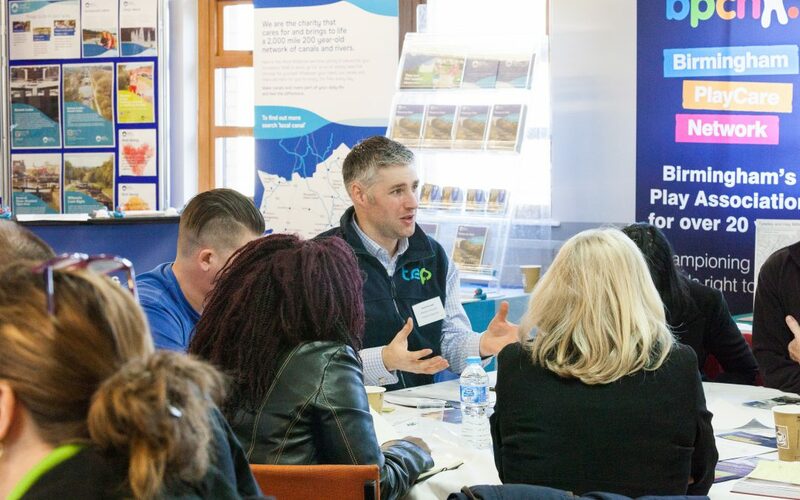 On Tuesday 26 February, Tyseley Energy Park hosted their third business engagement event dedicated to supporting the local businesses of Tyseley and Hay Mills. The previous two events focused on preparing local haulage companies for Birmingham’s Clean Air Zone (CAZ), while this workshop explored the opportunities available for local businesses in relation to energy supply and consumption, heat, transportation and waste. 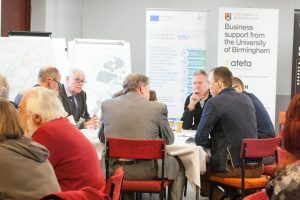 The business engagement event was supported by Councillor Zafar Iqbal; the University of Birmingham’s ATETA programme and the Greater Birmingham Solihull Local Enterprise Growth Hub. The exhibition area featured exhibitors from the Environment Agency, Canals and Rivers Trust, Ackers Trust, and Aston University. 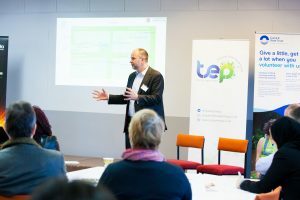 Delegates, which included local businesses, City Councils, utility companies, NGOs and local universities were able to find out more about the developments taking place at TEP and the impact the Energy Innovation Zone will have on the area. In facilitated workshops the attendees discussed the challenges related to energy supply and consumption. The local SME’s shared a view that electricity costs are significant in the local area, however, the flow of waste heat from TEP and other energy centres in the area were identified as possible opportunities to overcome this. The objectives relating to energy supply and consumption of the larger civic and business organisations were to reduce operating costs whilst using efficient, cleaner energy and increasing the use of renewably sourced energy. The next facilitated workshop discussion focused on the opportunities surrounding waste materials and recycling streams. Businesses suggested standardisation of rules for recycling and waste streams across different local authorities could have the potential to increase the amount of re-use and recycling done by SME’s. Discussions relating to transportation highlighted the need to develop an infrastructure for cleaner fuels produced in a sustainable way. Within this session the possible impact the TEP low and zero carbon refuelling station could have on the local area and SME’s based in Tyseley were also explored. Transportation conversations naturally led on to Birmingham CAZ and the financial and technical impact this will have on the SME’s. To explore the solutions for possible obstacles and maximise on the opportunities the CAZ could offer delegates will be invited to attend future business engagements about the CAZ and the TEP low and zero carbon refuelling station.